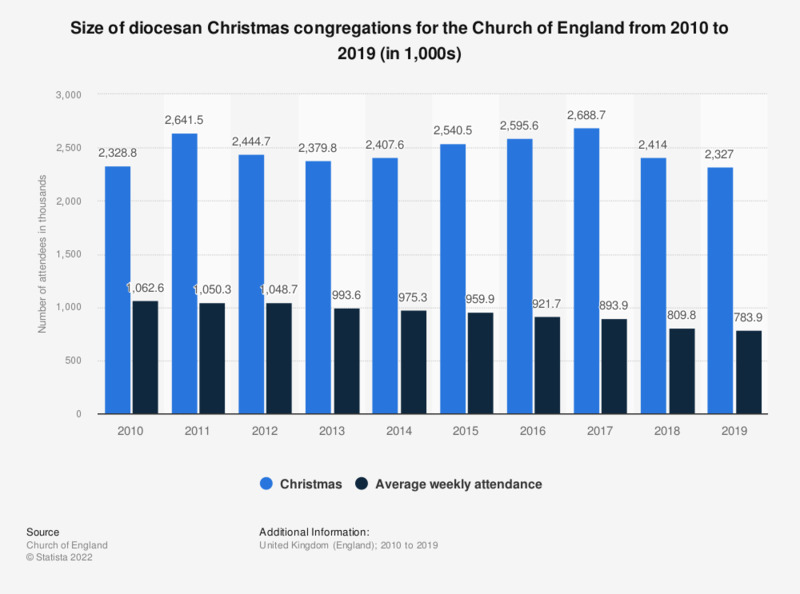 This statistic presents the Christmas church attendance figures for the Church of England from 2012 to 2017, compared with the usual weekly attendance. While there has been a net increase of approximately 240 thousand people attending a Christmas service during this time period, the average weekly attendance has declined, reaching a low of 895 thousand in 2017. Values shown include data as reported by churches/parishes and estimates where no report has been returned. Christmas figures include communicants and attendance at any services on Christmas Eve or Christmas Day. How often do you go to Church or do you watch the mass on TV?